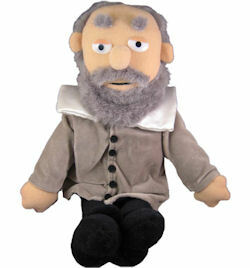 Galileo, an Italian mathematician, physicist, philosopher, and astronomer. He played a major role in the Scientific Revolution, making improvements to the telescope and astronomical observations. A favorite scientist of Stephen Hawking! Measures 12 inches tall.